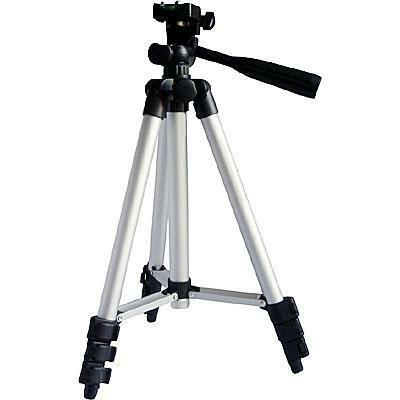 *Camera tripod fits all still and video cameras with a standard tripod mounting hole. *Bubble level indicator helps keep your camera level. *3-way 360 degree swivel pan head. 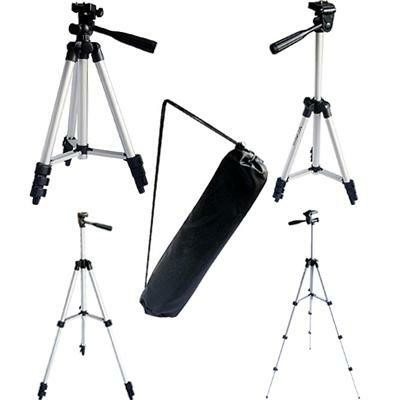 *3-section aluminum legs with brace for maximum strength and stability. *Operational height range: 13" to 42"
*Load limit: 3.3 lbs. ; weight:0.9 lbs.